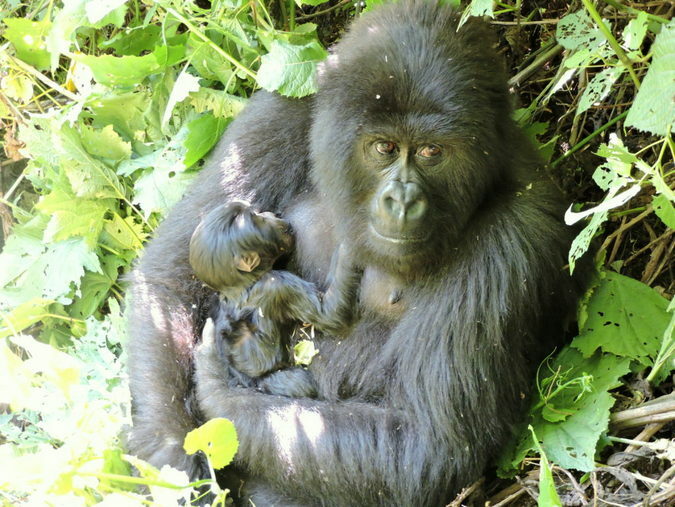 In this week’s news wrap a tenth black rhino has died in Kenya after a botched translocation; a young elephant in Zimbabwe has been rescued after becoming stuck in the mud; Virunga National Park has welcomed the good news that two new mountain gorillas have been born in the park; a field ranger has been shot and killed in the Kruger National Park in a poaching incident; an alleged poacher in the Kruger was arrested shortly after being trampled by elephants; the De Beers Group has begun to transport 200 elephants from South Africa to Mozambique; and Hong Kong customs have seized 7,100 kg of suspected pangolin scales. A tenth endangered black rhino has reportedly died after a botched translocation from one Kenyan reserve to another. 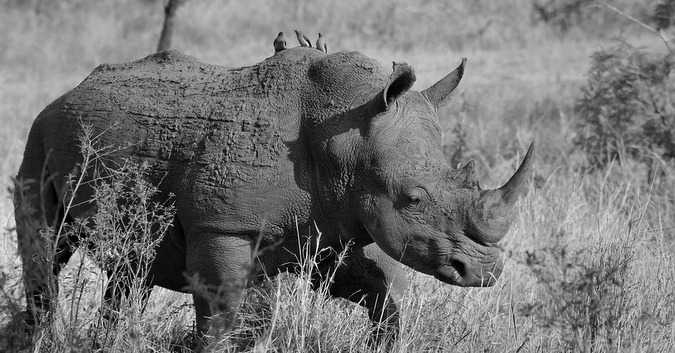 We previously reported the death of eight rhinos, and later added a ninth death to this post. The eleventh rhino is in critical condition and could also die after being attacked by lions. 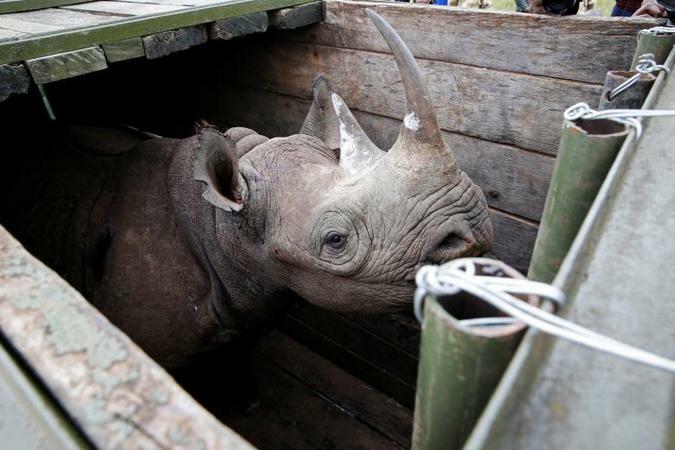 The rhinos were being translocated from Nairobi and Nakuru National Parks to the newly-created sanctuary in the southeast of the country to offer a more secure location for the endangered species. Preliminary investigations showed that salt poisoning from the water may have been cause of death. “According to the inquiry team, the cause of all the deaths was due to multiple stress syndrome intensified by salt poisoning and complicated by the following conditions: dehydration, starvation, proliferation of opportunistic bacteria in upper respiratory tract, gastric ulcers and gastritis,” Balala said. 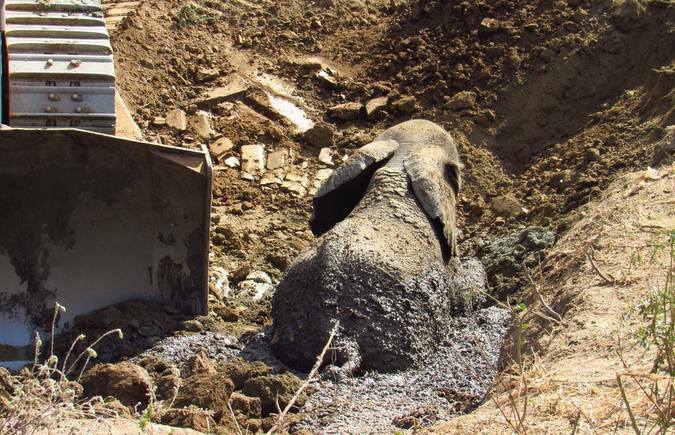 A young elephant has been rescued from a muddy pit in Zimbabwe after rescuers used a bulldozer to help with the rescue operation. The elephant was discovered in the pit near the resort town of Kariba, and is thought to have been stuck there for approximately 24 hours. According to reports, the elephant’s herd stood anxiously nearby while staff members from Kariba Animal Welfare Trust (KAWFT), ZimParks, Lake Harvest, and other volunteers got to work on helping to free the young animal. A bulldozer was brought in to carefully and skilfully level the steep sides of the pit to allow the elephant to walk out. However, it was weak and caked in thick mud, and lay motionless in the mud even though a way out of the pit had been created. A field ranger has been shot and killed in the Kruger National Park in a poaching incident, according to South African National Parks (SANParks) in a statement released yesterday, 19 July 2018. According to reports, the field ranger and his colleagues made contact with a poaching group that they had been tracking, supported by the K9 unit. It appears as they approached the group, shots were exchanged, seriously injuring him in the upper body. A doctor was flown in to stabilise him but unfortunately he succumbed to his injuries en route to the hospital. 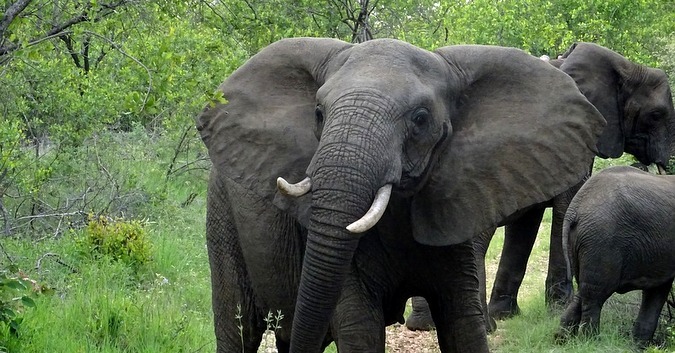 An alleged poacher in the Kruger National Park was arrested shortly after being trampled by elephants on Sunday, according to the Lowevelder. 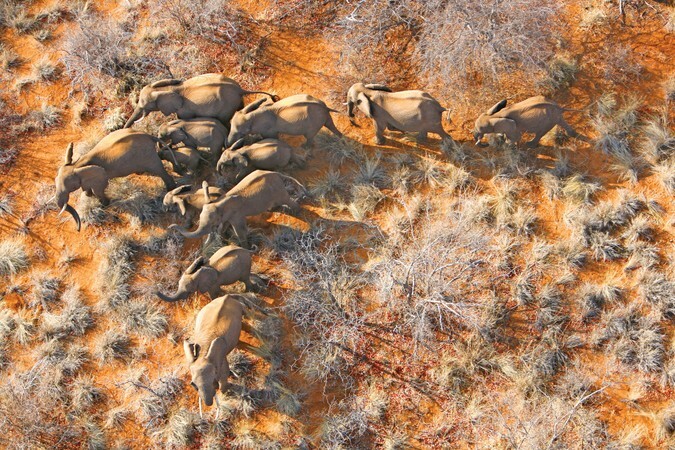 A SANParks’ media specialist, Ike Phaahla, confirmed that the man was part of a poaching group. 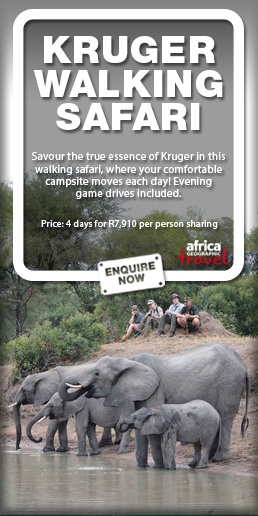 The incident happened on the S21 in the park near Skukuza, the park’s biggest rest camp. The 7,100kg haul – the second-biggest seizure of its kind in a decade – had an estimated market value of HK$3.55 million (US$450,000), according to the Customs and Excise Department. It was seized on Friday when officers opened the 40-foot container for inspection at the Tsing Yi customs cargo examination compound. Its manifest claimed it contained more than 880 bags of plastic raw materials. 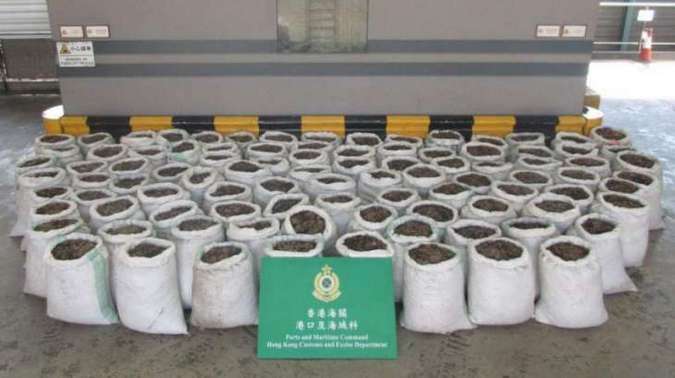 “A total of 284 bags carrying suspected pangolin scales were found in the container,” a law enforcement source said.